This month’s Hwt Peret Auset ritual will be held as usual on the first Saturday of the month – this Saturday, March 3rd. 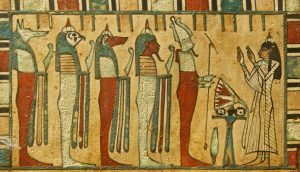 This time, we will be honoring a group of four deities, known as the Funerary Quaternary (also the Sons of Heru/Horus): Hapi, Qebehsenuef, Imsety, and Duamutef. Why do I say this? Because, if you have been to a Hwt Peret Auset ritual sometime in the last year, you have already heard these names. They are the four guardians we ask to hold the astral space of the Kemetic Temple within the physical space of the TOGA temple at the beginning of every ritual. This is not a function that they served in antiquity and you will not find them in this role anywhere else. Let me tell you a little bit about them, and how they came to hold this role for us. Hapi, Qebehsenuef, Imsety, and Duamutef are most commonly associated with the process of mummification (hence the “Funerary Quaternary”). 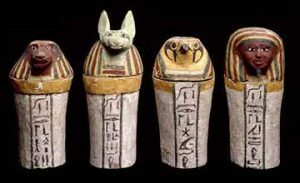 Each one was charged with the protection of a specific organ of the human body that was removed during the mummification process and then either wrapped and replaced in the body cavity or placed in a jar – canopic jar – with a lid depicting the head of one of the deities. Now, because this was a funerary context, each of the organs being protected was also associated with a specific type of death or disease. 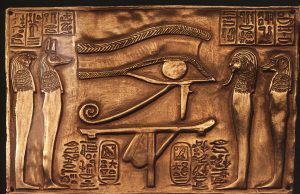 In typical Egyptian fashion, the god “of the danger” was also the god who protected from the danger or healed the effects of the danger in the afterlife or next lifetime. Serqet, for example, is the Goddess of Scorpions, but She also protects people from scorpions and heals scorpion poison. Depictions of these four deities also appear on the corners of sarcophagi, because they were also charged with guarding each of the cardinal directions. These four were considered to be the sons of Heru-Ur, Heru the Elder, and one or more mothers. Each was also associated with a goddess who was not their consort, but their protector and the second line of defense, so to speak. 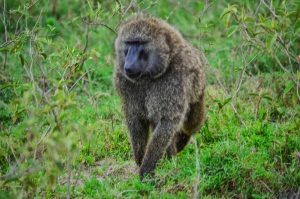 Hapi – not to be confused the Hapy, God of the Nile Delta – appears in the form of a baboon or a human with a baboon head. His canopic jar holds the lungs. The danger or cause of death the Egyptians associated with the lungs was drowning, not surprisingly given how much life revolved around the waters of the Nile. For this reason, Hapi is frequently depicted on a boat, or steering a boat. His goddess protector is Nebt-Het, sister of Auset and Ausar. His pillar is the north. 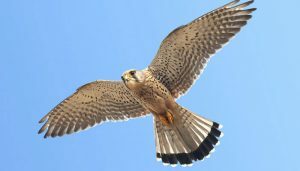 Qebehsenuef (approximate pronunciation: keb-SEN-ef) appears in the form of a falcon or falcon headed human. His canopic jar holds the intestines of the deceased, which he was charged with refreshing and purifying. Poisons and toxins were assumed to accumulate in the intestines, so the organs were also associated with death by poison. Qebehsenuef’s goddess protector is Serqet, whom I mentioned above, as she is also a healer of poisons. His pillar is the west. Imsety (or Imset, or Mesti), is the only one of the quaternary depicted as fully human all the time. This is because his organ is the liver, which the Egyptians believed was the seat of human emotion. Emotion being a quintessentially human thing, Imsety shows a human face. Emotionally charged death, such as death due to stress or a ‘broken heart,’ was associated with the liver. Imsety’s goddess protector is Auset Herself, because as we know she is intimately concerned with human life and feelings. His pillar is the south. 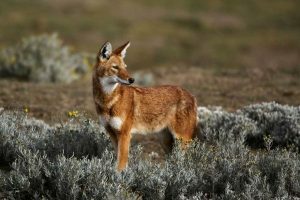 Duamutef appears in the form of a jackal or jackal headed human. His canopic jar holds the stomach. Duamutef’s name literally means “he who adores his mother.” The roundabout logic for his name is that the stomach is associated with violent death or death to injury, primarily injury to the torso. In Egyptian warfare, death was most likely to result from stabbing injury to the torso and stomach. People who go to war are serving their country, or ‘motherland.’ Hence, this guardian adores and sacrifices for his mother. 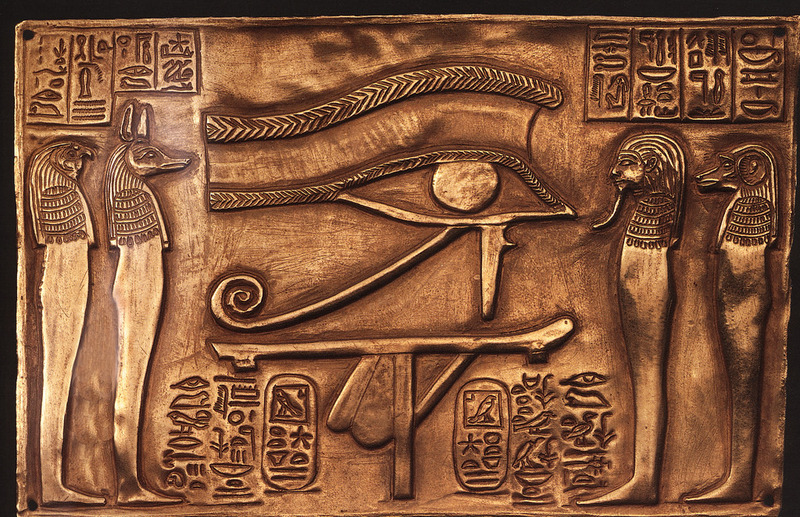 His is protected by the goddess Neith, who is also associated with warfare. His pillar is the east. Now, that is the short introductory version, and you could pretty much find everything I just said by typing “Four Sons of Horus” into Google. How they came to be the guardians of our temple is a different story. Back when I was still working towards my Third Circle initiation, I came to the realization that the place of the Egyptians in TOGA was ‘there but kind of not there.’ The Egyptian altar existed, but it had been maintained by a person who was no longer a part of the community by the time I came to TOGA. Thus we just had some small statues sitting there gathering dust, which was obviously an issue. At that time, I had been initiated to Netjeru by my former community (specifically to Anpu/Anubis), but I had no real experience with performing a Kemetic ritual for someone other than myself. For many priests of the Netjeru this is not a problem – like their spiritual ancestors, they serve Gods, not people – but I knew that intentional work with community was a part of my personal pathwork. And so began a three-year process of studying with various teachers, reading some very dense esoteric books on the subject of Kemetic theology and philosophy, and experimenting with various ritual styles to try and find something that would effectively welcome the Netjeru into our community consciousness. I could go on about that process for a while, but I will spare you that here. Suffice to say that one of the challenges I encountered was that we did not have a dedicated physical Egyptian temple. The Netjeru shared space in the TOGA temple with all the other pantheons. The challenge, therefore, was dedicating the space for them. Normally, when we want to declare space for a certain purpose or Pantheon within the temple, we create that most basic of magical constructs: a Circle. Only one problem: Kemetic religion, as far as I have ever been able to make out, has an extremely strong consciousness of purification, but no concept of a circle. You didn’t have to declare space for the God to inhabit, because the God lived in a physical temple that was sacred by its very nature and architecture. I encountered the concept of invoking the Funerary Quaternary to declare space in a book called Egyptian Paganism, which is essentially a manual on Wicca-inspired American witchcraft with Egyptian flavoring (and I do not mean that as a negative, just an assessment of the tone). 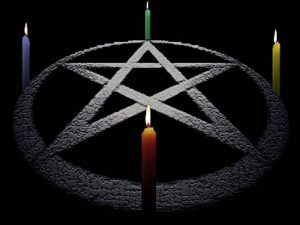 The book presented a method of calling quarters in Wiccan fashion by using the names of the Sons of Horus. This was an interesting idea, but being the reconstructionist that I am, I had a couple misgivings and concerns about misappropriation/misuse of the entities I was dealing with. Other books and resources were unhelpful on this, as the authors and teachers who deal with the Kemetic pantheon exclusively or from a reconstructionist standpoint generally do not concern themselves with such modern-day concerns as casting circles. So, this became a case where the best and perhaps the only choice was to give it a try and see how it goes. My experience with the Funerary Quaternary, from my earliest experimentation with calling to them and timidly asking if they would please hold space if that was a thing that was okay, has been that they have a deep understanding of human concerns. 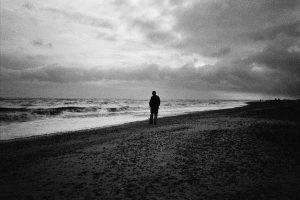 I went to them with a problem – namely that of declaring space – and they responded with perfect willingness to step into a role that did not exist during their time, because it was a thing we needed. We didn’t need it before, but we need it now, and they are here to help. Maybe this was what the author of Egyptian Paganism experienced as well. All of this, of course, is UPG – unverified personal gnosis. However, what I have personally experienced in working with the Four Guardians is a deep understanding, compassion, and even a slightly amused indulgence of my sometimes fumbling attempts to build Hwt Peret Auset through its many iterations. So I am glad to have this opportunity to express my own gratitude for that and hopefully share that experience with others this weekend. The ritual will begin with a devotional for Heru-Ur, father of the guardians, in which we will ask him to help guide the ritual participants to his four children. The devotional will be followed by a guided meditation in which we will encounter each of the Four Guardians of our temple. This ritual is open to all that are comfortable with/able to participate in a 30+ minute meditation. As always, there is no charge, but donations of food/drink to share (or money, that works too) are appreciated.